Sunness Capital is a key player in the stock market with hundreds of Sunness Capital Sub Broker working under them across India. Sunness Capital, a company that started from Banglore, Karnataka has been providing its customers and partners with full broker services for 10 years now; availing services like research and advice, tax assistance, retirement planning, etc. This article focuses on some important programs and services that Sunness capital offers, the experience and packages that the company brings to the table; the support the company offers to its customers under various business models and the charges that are included in those models. The experience that Sunness capital offers is responsible for its average performance as a brokerage firm. The services and support that it provide to its clients and partners is rated by customers as above average. Various business models and the offers under them add to the list of perks, with the addition of good trading platforms that the company provide. Factors like revenue sharing model and market share that they offer are like any other brokerage firm and so they fall a little short on customer ratings. But all the customer reviews add up to an average overall rating for all the services that the company has provided to its customers to date. Sunness capital is a private brokerage firm, that has been in action for a decade after it was started by Sasitota Prabhakara Shreesha in the year 2009. It has its headquarters in Bangalore. it takes a time of up to 30 days for SB code activation and 35 days for the payout time. Under the sub-broker model, the brokers can act as an intermediate between the trading members and the client, acting on their behalf in dealing in securities. This model also provides more than one sub-brokers to work at the same place under the same company name. Eligible candidates can work as referrers for Sunness Capital but they needn’t be employees or agents of the firm. You can be a flat fee referrer where you get paid for every active broker you refer to a client. The security deposit ranges from a minimum of Rs.50,000 to a maximum of Rs.150,000. As the amount has nothing to do with the shares that you will buy after being a partner, client or broker, the complete amount is refundable at the end of the partnership period. But the share that a party gets at the end of the partnership depends directly on the payment made as a security deposit. Sunness Capital doesn’t charge people under the referral program. Being an established brokerage firm of Banglore, Sunness Capital provides various opportunities under its revenue sharing model, and the amount that it gives depends on the business model you go for and the security deposit you made. 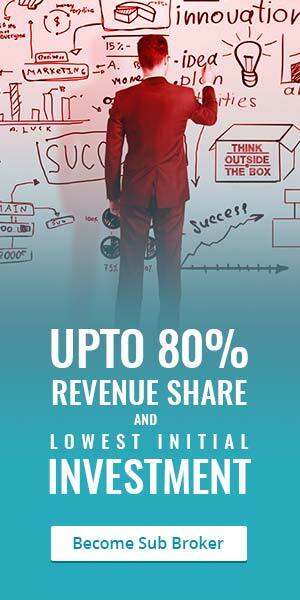 The commission for the brokers working under the sub-broker franchise goes from a minimum value of 60% to a maximum value of 85% based on the profit that the company earns at the end by the sales of goods or shares among stakeholders or contributors. If you are a referrer, the company gives you Rs.2,100 for every referral that you make of an active broker to a client, and for every client that you bring in for the company. Having an office area isn’t mandatory but it will act as a perk. Minimum employee strength of 1 is mandatory. Your company should do research services. You should have access to an active internet service. You should also have access to working telephone lines. You can go for a zero deposit option instead of a security deposit. You get the 10k initial deposit offer to open an account with the broker. You get the flexible revenue sharing offer, where you receive the profit on a quarterly or annual basis instead of receiving the whole amount at the end of the revenue cycle. You also get zero revenue sharing with a prepaid option. At the same time, they keep trading support, acquisition training and product training out of the option. Rs 23 per lot to currency options. The support provided by the company to its sub-brokers and the minimum requirements to be a partner which are pretty basic is why you wouldn’t have to go out of the way to be a part of it. The flexible revenue sharing option provides you with profit without waiting until the end of the partnership cycle. The experience that the company brings in with various business models provides a variety for the security deposit as well.